I hope you’re ready for some epic peach consumption, because peaches are in their prime, and I’m about to go overboard. Peach all the things! I have sipped on a multitude of crush cocktails, but never have I ever (remember that game?) sipped on a fresh peach crush. It’s a shame, really, because this cocktail is over-the-top tasty. The ever-so-popular orange crush is my go-to cocktail when I’m at a bar that I know can’t handle making a good bourbon cocktail or simple Manhattan. For those bars, I ask, Why? Why is it that you can’t handle crafting a classic cocktail? You should be ashamed. This Fresh Peach Crush is the real deal. When I say fresh, I’m not kidding. 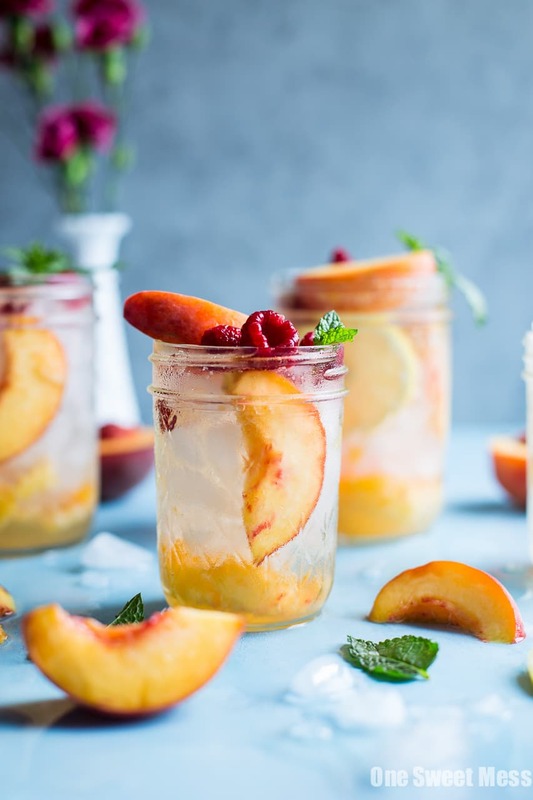 Ripe summer peaches are the star in this recipe. 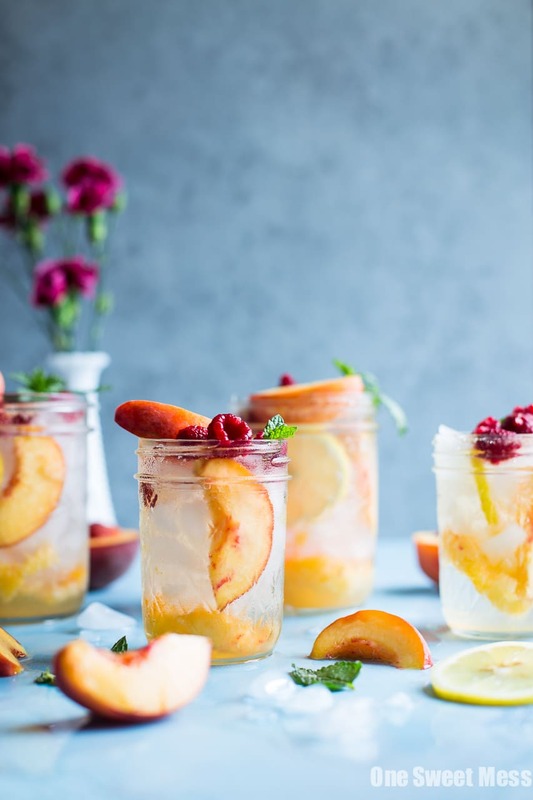 They get muddled with good-quality peach vodka and peach liqueur, before getting topped with peach nectar and a splash of club soda. 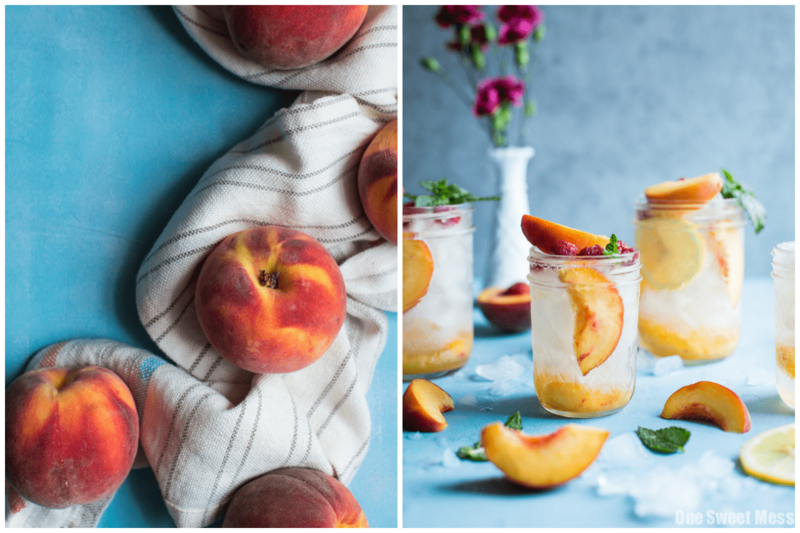 Let’s chat about peach vodka, because not all brands are the same. The last thing you want is to pick up a cheap bottle of peach-flavored vodka that tastes like artificial peach sweetener. It is my duty to make sure you don’t waste your money on garbage and, more importantly, have to suffer through a bad cocktail. Vodka brands that do flavored well: Ciroc, New Amsterdam, and Stoli. Pick one and have at it! 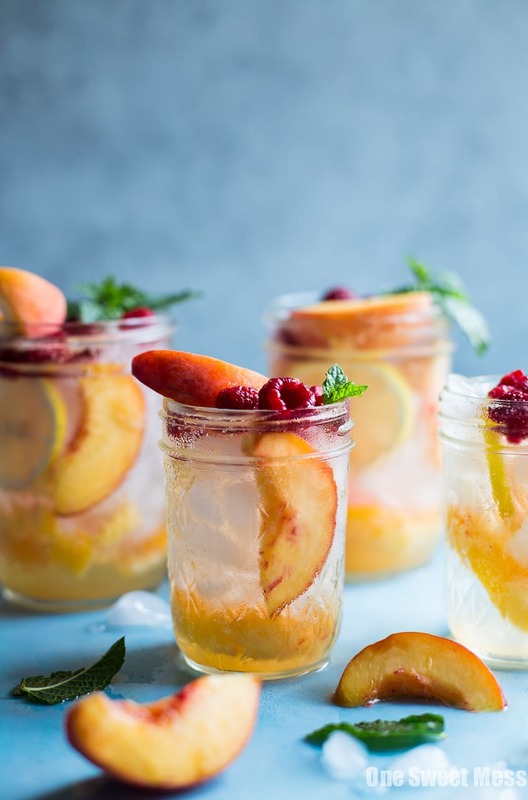 This Fresh Peach Cocktail goes down easy and tastes just like you’re biting into a ripe, juicy summer peach that has been plucked straight from the tree. Sip happy, friends! 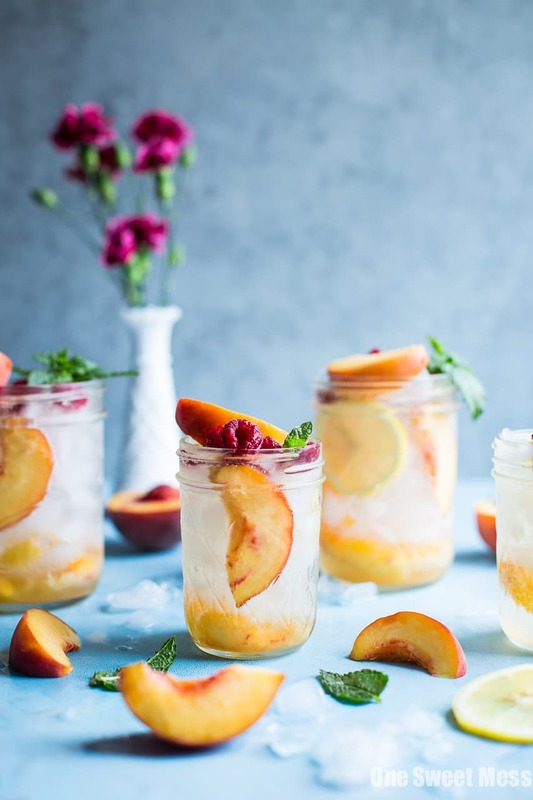 Add peach chunks, lemon slice, vodka, and peach liqueur to a cocktail shaker. Muddle to combine. Stir in peach nectar. Pour over a glass full of crushed ice. 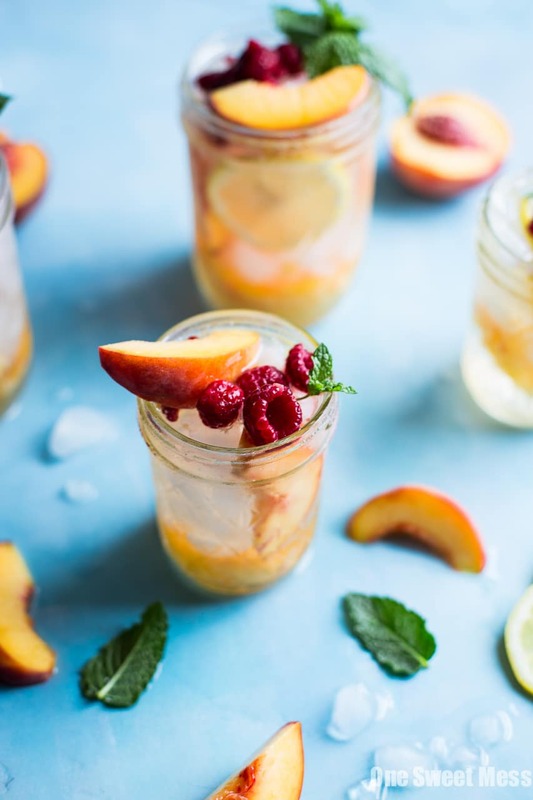 Top with club soda and garnish with peach slice, lemon slice, and sprig of fresh mint. If you can’t find Mathilde peach liqueur, you can substitute peach schnapps. It’s not my preferred ingredient, as it has that artificial peach flavor, but it will do in a pinch. Fresh, ripe summer peaches work best for this recipe. They give the cocktail an authentic peach flavor.